This business with the Supreme Court is like with global warming: there are just enough idiots around even in the parties of the right that everything must be done gently gently. And were not talking about voter-idiots. We mean elected-idiots, like actual Senators in the US or cabinet ministers in Australia, who have to be cajoled along so that they do not side with our enemies. 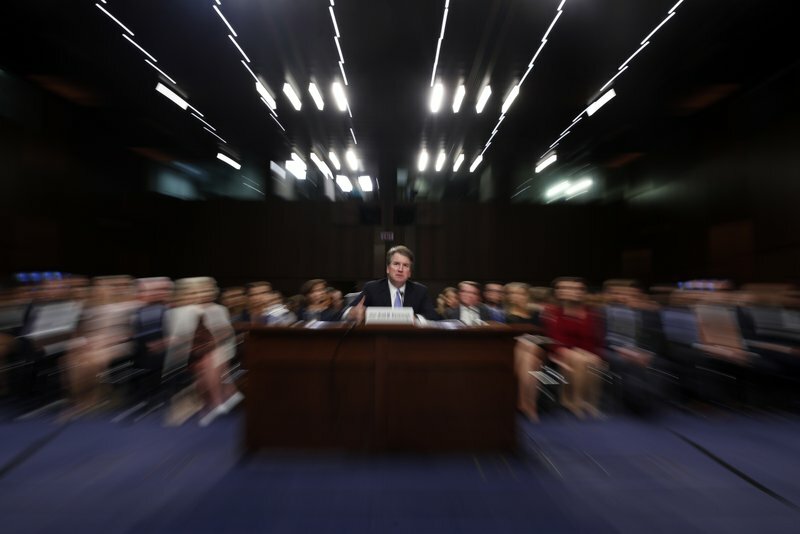 A kind of round up from around the web on where we are with trying to get Kavanaugh onto the Supreme Court. The left are wreckers with no idea the amount of damage they may cause but do this with reckless disregard about any of the consequences that are certain to follow, with the rule of law in jeopardy along with much else. BELIEVE ALL WOMEN: Keith Ellison says his accuser fabricated domestic violence abuse story, can’t be sure others won’t ‘cook up’ allegations. Related: Keith Ellison pounded about abuse at debate. Watch him blame accusers, say women can make things up! He’s co-chair of the Democratic Party. They’re allegedly investigating him, but they’re slow-walking it past the election. Dozens of female colleagues, classmates and friends of Brett Kavanaugh rallied in support of the embattled Supreme Court nominee on Friday, saying they don’t believe the sexual assault allegation against him. The women, who last week wrote a letter of support for Kavanaugh, spoke at a Washington press conference in front of a banner that blared “#IStandWithBrett.” “Brett stood out as the most responsible guy who treated us with kindness and respect,” said Megan McCaleb, a former classmate and longtime friend of Kavanaugh. The Circus is the Showtime series that touts a look inside Washington politics via hosts John Heilemann and Mark McKinnon. The current episode (season 3, episode 7) aired on September 16. The episode can be accessed online here if you jump through a few hoops. At around 23:00 it briefly takes up the Democrats’ efforts to delay and obstruct the nomination of Judge Kavanaugh to the Supreme Court in the Senate Judiciary Committee. The episode does not linger over the proceedings; the Democrats seem to be playing a losing hand of no particular appeal for the crowd to whom the show caters. McKinnon: You don’t think [Kavanaugh’s confirmation] is a done deal? Booker: I’m going to hold on till the last minute because this is not done until the last vote is cast. And I’ll tell you right now: a lot more can come out. You never know. OK. But we shall see. At this stage, the only way the Republicans can screw this up is if Kavanaugh is not confirmed. But the fact is, even this is not beyond them.